Fetewei Tarekegn (30) is an agricultural scientist from Ethiopia who moved to Germany to study. 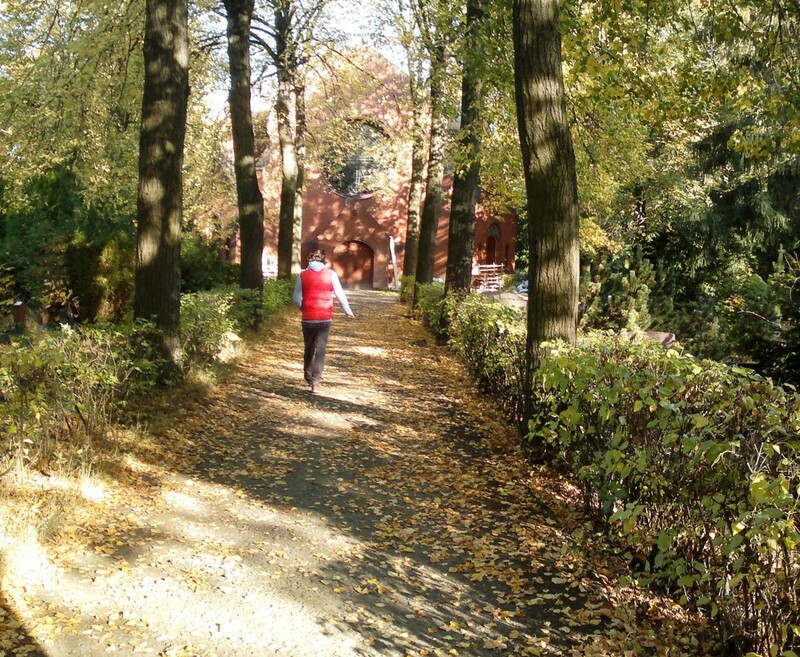 At the heart of Berlin, on the site of a former graveyard, his is an inspiring endeavour, one that brings an abandoned ecosystem back to life, while restoring what is needed most of all – humanity. Back in 2008, Fetewei joined a team of students at the University of Hohenheim in Stuttgart, Germany, in founding F.R.E.S.H. (Food Revitalisation & EcoGastronomic Society of Hohenheim). Being one of the first student food communities in Europe, over the years the group has organised a series of activities in campus, including conferences, a vegetable garden, public meals and even the university’s first academic module on the Ethics of Food & Nutrition Security, organised and co-designed by the students. “Sea of Flowers” Garden, Berlin. 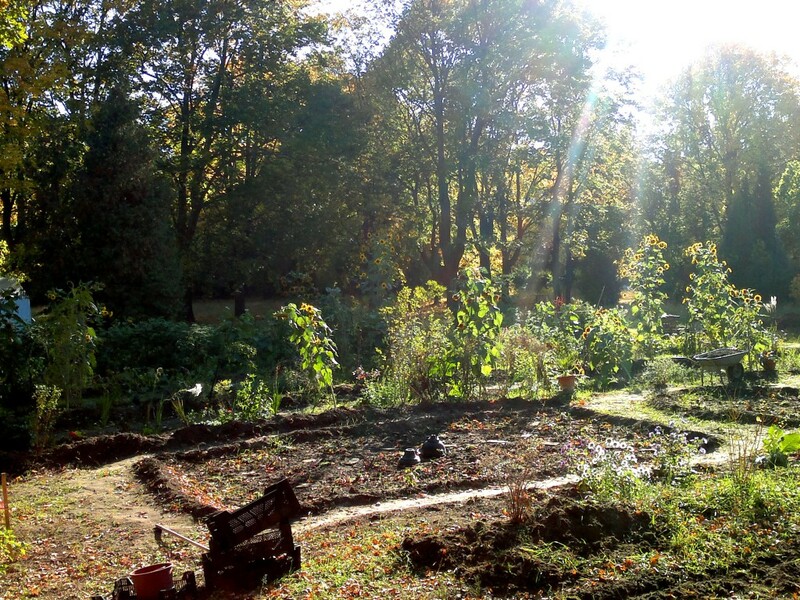 The young agriculturalist is now based in Berlin, joining forces with architects and artists, to transform an old cemetery at the city centre into a community garden. In the “Sea of Flowers” he works with refugees from west Africa, to turn the attached old stonemason’s workshop into a habitation to host 25-30 people. 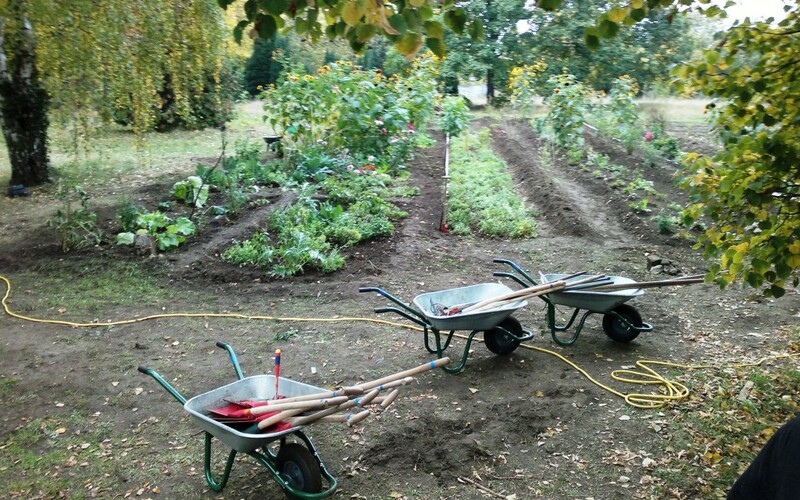 The garden also offers meals, language classes and basic skills training to refugees. This is a project at the intersection between climate action and the major crises Europe faces. Pavlos Georgiadis: Why are urban gardens like this one here in Berlin so important Fetewei? Fetewei Tarekegn: In places like Berlin where concrete prevails almost everywhere, the urban heat effect, increased carbon dioxide and particulate matter emissions are serious problems. Add to this a huge amount of cars, buses and trucks, and you lose a sense of what is right to be surrounded by. A green space, any plant, a group of plants or any garden small or big allows a city dweller to breath a less polluted air and produce food within his or her community. It also shows people what it takes to produce food in the first place. If done in the right way, it provides urbanites with an opportunity to emphasise and empathise with the everyday struggling of communities in the global South. Their struggle is nothing more than feeding themselves. PG: You are now raising funds to perform a soil analysis for your garden. Why is this so important? FT: Any flowering plant or a vegetable would only grow and flourish as far as quality soil allows it. Therefore, it is important to know what are the chief properties of your soil. Especially since we are working on an old cemetery, we need to ensure that the soil is free of any type of contaminants before going into producing food. PG: How do healthy soils help fight climate change? FT: Climate change is a result of large greenhouse gas emissions, which get the atmosphere warmer at the local level. This, in turn, causes temporary or permanent irregularity in precipitation and overall weather conditions. Healthy soils fight this effect, by converting and storing greenhouse gases through the different living microorganisms they host. Conventional agriculture releases large amounts of greenhouse gases. But good soil practices are key in both reducing emissions and absorbing carbon from the atmosphere. PG: You are working with refugees that seek a new life in Europe. What are the biggest challenges the people you work with face in their new home? FT: The challenges are many. While many of them come from the developing world to get a better life there are a lot of obstacles. They first have to learn the language and the culture in their new country. This might not be easy as they also have their own culture and habits that they need to adapt. Most of the time, people migrating from developing nations have a deficit in terms of skills of either schooling or technical education. Developing such skills takes time and requires diverse resources, both financial and human. Getting a job and earning a living is not easy, as they have to go through lengthy official processes. This can often cause frustration, which is why gardening and building other creative and social skills can play a major role in their integration in the host culture. PG: Are refugee flows related to climate change? FT: Climate change causes problems because it mostly affects countries which need rain fed agriculture to produce food. With rainwater getting more scarce in certain regions, people are using ground water more and more to irrigate their fields. This causes major water depletion and, in the end, might result in entire regions or countries becoming inhospitable, pushing people away from their homelands. This often becomes a cause for tension and conflict, and this affects people’s livelihoods more severely, making it difficult if not impossible to live where they have lived all their lives. PG: You were born in Ethiopia and now live in Germany. Do you see differences in the way the two countries deal with climate change? FT: There are many differences. Germany is of course a developed country, with much higher level of technical capacity to deal with climate risks. Ethiopia obviously doesn’t! The good news is that policy makers in Ethiopia have finally recognised the problem, and promote both adaptation and mitigation strategies. Decarbonising the economy is key to achieving this. The commitment to reduce carbon emissions by two thirds by 2030, presented at COP21 last December, demonstrates a bold ambition for climate action. We are really going to need a renewable energy revolution to help accelerate this energy transition. I really hope that this will happen as soon as possible, both in developing and developed nations. * This project is in collaboration with Raumlabor Berlin and Schlesische27. For the Garden’s website (including its photo gallery) click here. ← Can the EU’s Common Agricultural Policy help build a new economy in Greece?